Dying foreshore from the Kaikoura M7.8 earthquake uplift. 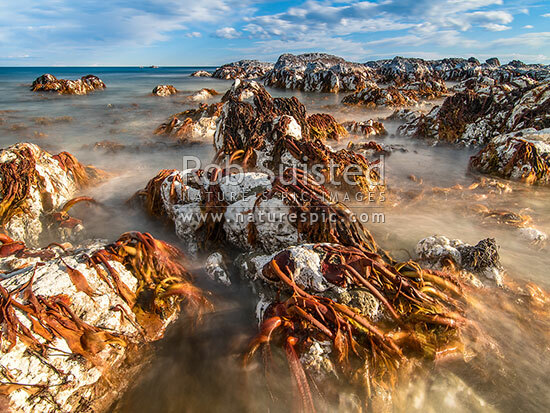 Bull Kelp and encrusting algaes well above high tide creates a surreal look to the coastline changed forever. London Hill Fault (?) uplift, Ward, Marlborough District, Marlborough Region, New Zealand (NZ), stock photo.